Ocean Legal’s charter is to provide a high quality professional and affordable investigative service to our clients. The services provided are completely confidential and available 24 hours a day. Established in 1999 the company has 13 years experience in the Legal, Financial, Corporate and Private sector. We provide a professional and comprehensive range of Legal and investigative services to the Legal Profession and also comply with current legislation including the Data Protection Act, and the Criminal Justice & Public Order Act. 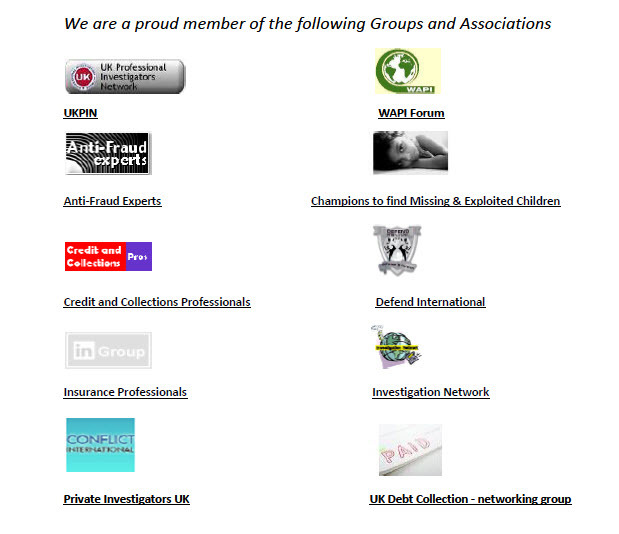 We are licensed by the Office of Fair Trading through the Consumer Credit Act. During the course of your enquiry, you will receive regular interim updates and a comprehensive report. An estimate of our professional fees will be clearly presented to you in advance for your approval or to assist with an application for prior authority from the Legal Services Commission. If you require any additional information or have a specific enquiry, please do not hesitate to contact us for professional advice. We have assisted our clients on various high profile criminal investgations in Europe, Pakistan and Columbia; tackling cases which have included Murder, Fraud, Money Laundering and Class A Drug importation. Our personal injury solicitors specialize in no win no fee compensation. With a highly experienced team of solicitors who work tirelessly, we ensure our clients get the maximum compensation they are entitled to. Listed below, just some of the services we currently offer.